When it comes to the procurement process, airlines consider multiple factors such as engine fuel efficiency, emergency exists and wing design. Now, another concern has arisen. As more airlines begin offering passengers complementary Wi-Fi, outdated electronic displays in cockpits grow more vulnerable to encountering disruptions. While many enterprises have already fixed this issue, a surprising number of airlines have yet to address it. Imagine a pilot needs to land in an airport surrounded by turbulent weather. This doesn't consist of several violent gusts of winds hitting the hull but involves a torrential downpour that renders the pilot's windshield essentially useless. All he or she can rely on to ensure the aircraft lands safely is the electronic display. Imagine if this device were to encounter a disruption at this critical time. According to IndustryWeek, the U.S. Federal Aviation Administration asserted such a harrowing scenario could occur with airlines using Boeing 737 and 777 airplanes. The FAA maintained the electronic displays on these particular models are susceptible to going blank if they experience Wi-Fi interference. Exactly 1,149 late-model 737s and 177 777s in the U.S. will be subjected to penalties if these outdated systems aren't replaced. A document released by the FAA noted that Boeing had already warned its customers of these issues back in 2012. The fact that many airline are still using antiquated 737s and 777s has caused the administration to initiate a directive that obligates airlines to replace these systems within the next 72 months. The FAA report asserted that old displays must be replaced with technology that support redundancies. 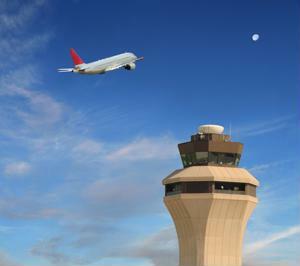 Specifically, the authority calls for solutions that are capable of delivering timely information to pilots in the event Wi-Fi interference does occur. While this may be viewed as an a frivolous measure by some, it's an extra layer of security that ensures aircraft personnel have access to necessary resources. In order to acquire best-in-class displays that are protected from Wi-Fi, it may be in the best interests of some airlines to hire procurement services. Outsourcing to a team of experts capable of scrutinizing the lifecycles of current technology and deducing whether certain implementations will remain relevant in years to come is a progressive decision to make. Why acquire materials with longevity in mind? It allows commercial aircraft companies to reduce consumption. Having to continuously upgrade isn't conducive to achieving corporate cost reduction. Workplace discrimination: A procurement concern? What’s going on in Contract Packaging? Does it make sense to procure volcanic energy? Are electric vehicles actually more efficient?